According to some sources for Disease Control and Prevention, more women than men die each year from heart diseases. Heart attacks and cardiac arrests are the results that come in front raw among all. In a moment your beloved person may be walking and talking with you, the next minute they’re on the floor, not breathing and with no pulse. And what you do over the next 10 minutes will be the difference between life and death. Knowledge about heart diseases, cardiac arrest, heart attack, CPR, AED, etc. can be life-changing. Women should take their heart diseases more seriously than earlier. 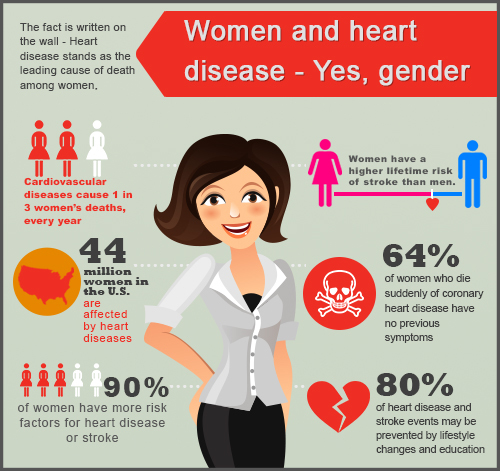 The statistics of increasing heart diseases in women is upwards. There are some unique causes for heart diseases in women unlike in men. For instance, some stress phases happen in women’s life such as menopause, prolonged postpartum depression, etc. that likely impact their heart health. What can women do to reduce their risk of heart disease? Women can make several lifestyle changes to combat that. Broadening awareness of heart diseases in women is the first step toward overcoming the death rate from this considerably preventable disease. Knowledge about risks, prevention and symptoms are all necessary to strengthened understanding and a lower risk of heart diseases. Now I am going to make an attempt to make awareness of heart diseases in women. 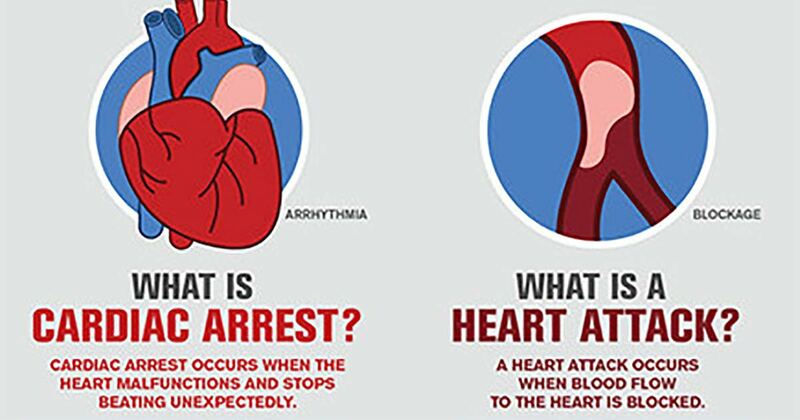 Today we shall cover details about cardiac arrest more, but before going to that point, let’s clear a common confusion. That is, What is the difference between heart attack and cardiac arrest? People usually assume that a heart attack and a cardiac arrest is the same, which is not true, however. To bypass that confusion about the difference between heart attack and cardiac arrest, it is first necessary to learn what happens in both of these processes. Let’s see. • Chest pain – This is usually a feeling of tightness in the centre of the chest which may remain for several minutes and will not decrease upon resting. Heart attacks are usually caused by one main factor, coronary heart disease (CHD). CHD is a state that is affected by fatty deposits growing up in the coronary arteries, which give oxygenated blood to the heart. This is also identified as atherosclerosis. In a cardiac arrest, the heart really stops beating, quite contrary to a heart attack in which the heart continues to beat even though the blood supply to it is interrupted. Ventricular tachycardia – A type of regular, quick heart rate that results from abnormal electrical activity in the ventricles of the heart. As I said earlier, a cardiac arrest is when your heart suddenly stops pumping. This means your brain is lacking oxygen, you become unconscious and stop breathing. It takes only three minutes for brain stroke to set in and within 10 minutes the person will be dead. In most cases, the ambulance will not make it on time. This is the critical time to perform CPR or AED (defibrillator). Cardiopulmonary resuscitation (CPR) is a specific medical procedure meant to reestablish circulation and breathing in a patient who is having a cardiac arrest. CPR is a supportive therapy capable to preserve perfusion to vital organs while efforts are made to replace natural breathing and cardiac rhythm. If the sufferer stops breathing or their heart stops pounding in the absence of a valid physician in the hospitals, the standard of care is to perform CPR. 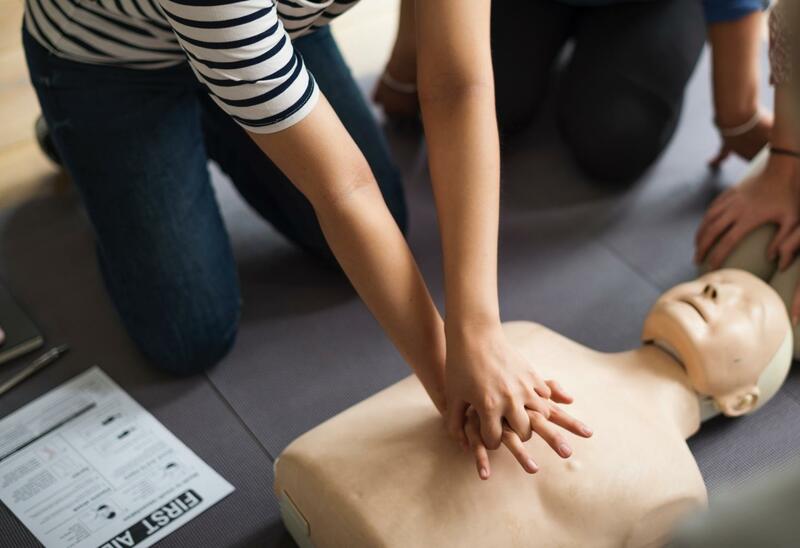 To perform CPR, a person has to press up and down on the casualty’s chest and give them a set of artificial breaths to support their life when they are in cardiac arrest. Artificial ventilation is done either by exhaling air into the person’s mouth or nose (mouth-to-mouth resuscitation) or using a device that exerts air into the patient’s lungs (mechanical ventilation). An uncomplicated CPR method comprising chest compressions alone is recommended for untrained rescuers. In children, however, only doing compressions may bring in serious outcomes. CPR alone is unlikely to restart the heart. Its main purpose is to restore partial flow of oxygenated blood to the brain and heart. The objective is to delay tissue death and to stretch the brief time of chance for a successful resuscitation without persistent brain damage. Treatment with an electric shock to the casualty’s heart, the activity that is termed as defibrillation, is normally required in order to reestablish a viable or “perfusing” heart rhythm. Defibrillation is practical only for certain heart rhythms, specifically ventricular fibrillation or pulseless ventricular tachycardia than asystole or pulseless electrical activity. CPR may benefit in inducing a heart rhythm that may be shockable. In common, CPR is maintained until the person has a reaction with spontaneous circulation (ROSC) or else he/she is declared dead. There is a growing use of public access to defibrillation. This includes installing an automated external defibrillator (AED) in public places, and coaching staff in these areas to apply them. Which in turn helps prior to the arrival of emergency services, and has been proved to influence improved chances of survival. Some defibrillators even provide feedback on the status of CPR compressions, supporting the helper to press the person’s chest harder that is sufficient to circulate blood. Moreover, it shows that those who have cardiac arrests in remote places have inadequate consequences following cardiac arrest. Exercise daily. Even a brisk walk will help. In general, everybody should do moderate exercise, such as walking at a brisk pace, on most days of the week. For patients suffering from cardiac diseases, it is recommended to take 150 minutes a week of moderate aerobic activity, 75 minutes of vigorous aerobic activity a week, or a combination of moderate and vigorous activity. That’s about 30 minutes a day, five days a week. Make efforts to stay happy like getting engaged in interesting activities, crafts, work, etc. Take prescribed medications properly on time, such as blood pressure medicines, Cholesterol and diabetes medicines, blood thinners, etc. Ayoti Care offers Cardio Pulmonary Resuscitation training to those who aren’t familiar with the real-time medical emergencies, that might occur to anyone, anytime. This program is intended for everyone who has little to no medical knowledge. It teaches the comprehensive first aid, which is then required if a sudden cardiac arrest takes place. This basic life support training involves how to respond promptly in the first few minutes until the patient gets emergency medical services (EMS). Advantages of Ayoti Care programme – Be a reason for someone’s long life!